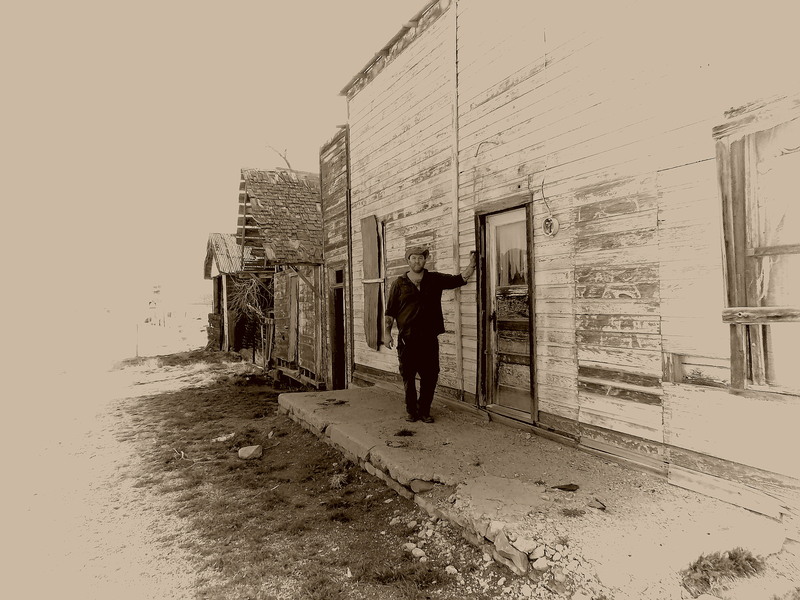 Querida in Custer County was once a booming mining town laid out at the base of the Bassick Mine. Today nothing remains but one old house, some debris from other buildings, and the massive tailings pile from the Bassick Mine. There was more than one “Independence” in Colorado- This is the Independence in Teller County near Cripple Creek and Victor. Independence was one of many towns that sprawled out around the mining operations in the Cripple Creek/Victor area in the late 1890s. 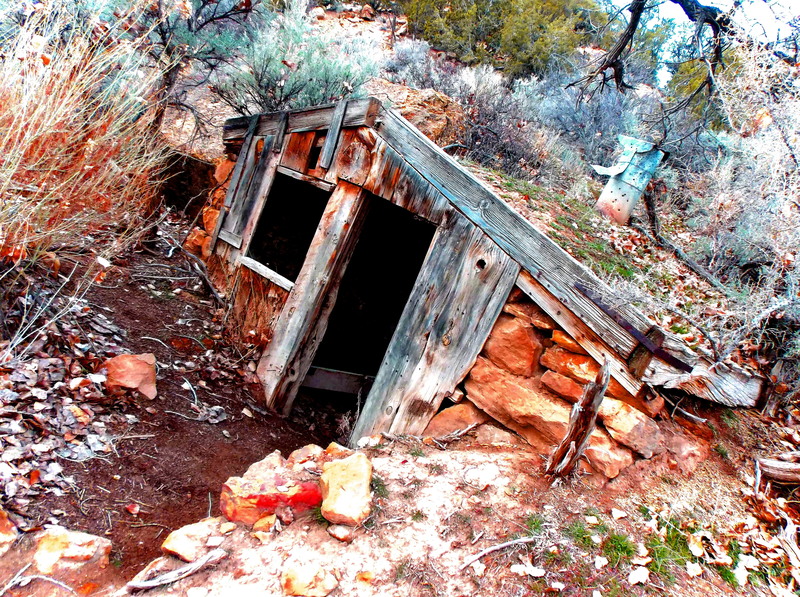 Today some mining structures and equipment mark the spot, and a one or two homes can still be found scattered among the workings. Most of the town however was buried under the tailings from the mine, or torn down. Caribou was one of Colorado’s top producing silver mining towns in the 1870s and 1880s boasting a business district, hotels, saloons and schools. The silver crash of 1893 spelled doom for the thriving community located on a windswept mountainside eight miles above Nederland at nearly 10,000 ft. elevation. Most of the population left around 1895, but a few struggled on in the mines until around 1920. Today a couple of stone buildings and one tumbledown log cabin are all that mark the spot of Caribou- The rest of town having been lost to forest fires, dismantling, and the elements over the years. A few foundations can be found in the deep grass at the site but its hard to imagine thousands once lived here. 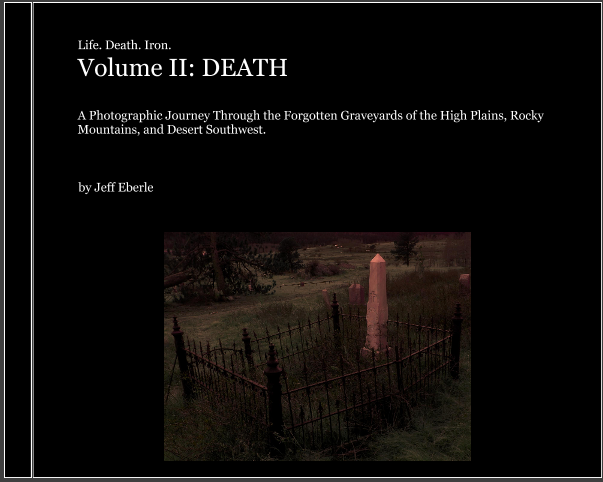 Colorado Ghost Town Guide Book- The Gold Belt Region by Jeff Eberle $20! Deep in Larimer County northwest of Ft. Collins a couple of gold discoveries were made high on Elkhorn and Manhattan Creeks. Manhattan once had around 500 residents, but the ore was low-grade and there wasn’t much to be found. An accident in a shaft took the lives of several miners in 1892, and shortly after Manhattan was abandoned. Sometime in the 1950s or so, the Forest Service had the log buildings of Manhattan torn down. All that marks the town site today is a tiny graveyard on a hillside where the miners from the 1892 accident are buried. In the sandy foothills northwest of Trinidad numerous “company towns” existed. These towns were built by mine owners for their employees and their families. One of the larger company towns was Berwind. 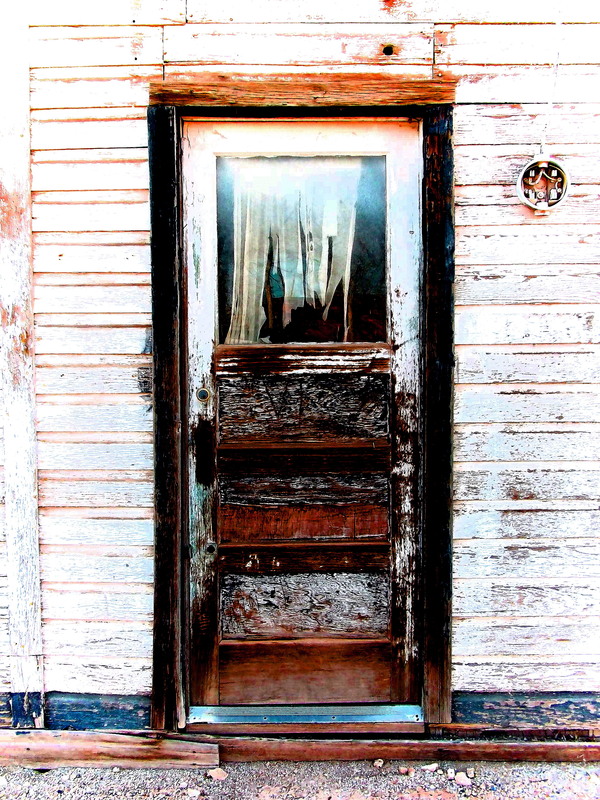 Berwind once had over 3000 residents, hundreds of homes, a two-story schoolhouse, railroad station, businesses, and a jail. When the coal mines closed, the mine owners evicted the families and bulldozed the housing so they wouldn’t be taxed on the structures. 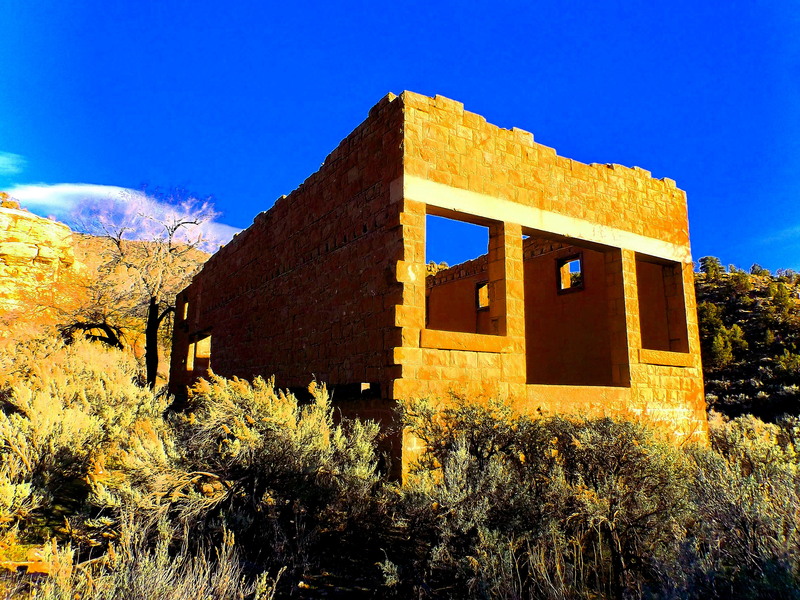 Berwind Canyon today is lined with concrete foundations, staircases to nowhere, and modern day “Roman Ruins” overgrown with shrubs and trees. The tiny jail house remains and is guarded by a fat squirrel. 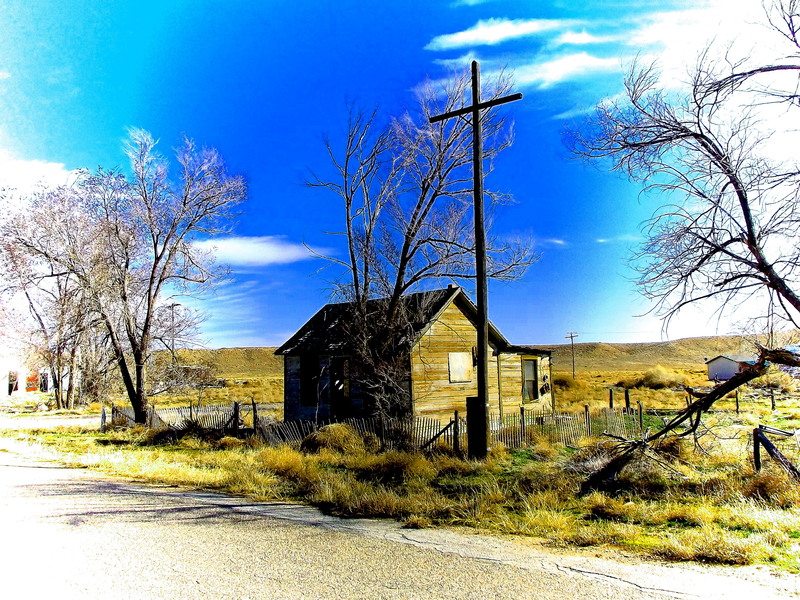 Carrizo Springs in the far southeastern corner of Colorado in remote Baca County was a very unusual place- It was a mining town on the great plains. Around 1885 a group of prospectors from Missouri were looking for the Rocky Mountains and became lost as they traveled through Indian Territory (Oklahoma) and Kansas. When they had just about given up they saw hills and bluffs that they assumed were the Rocky Mountains. They began prospecting along Carrizo Creek and found some streaks of copper ore and a few streaks of silver as well. The Mexican ranchers in the area told the miners they were still a couple hundred miles from the Rocky Mountains. The miners decided to stay at Carrizo Creek and soon word spread of their strike. 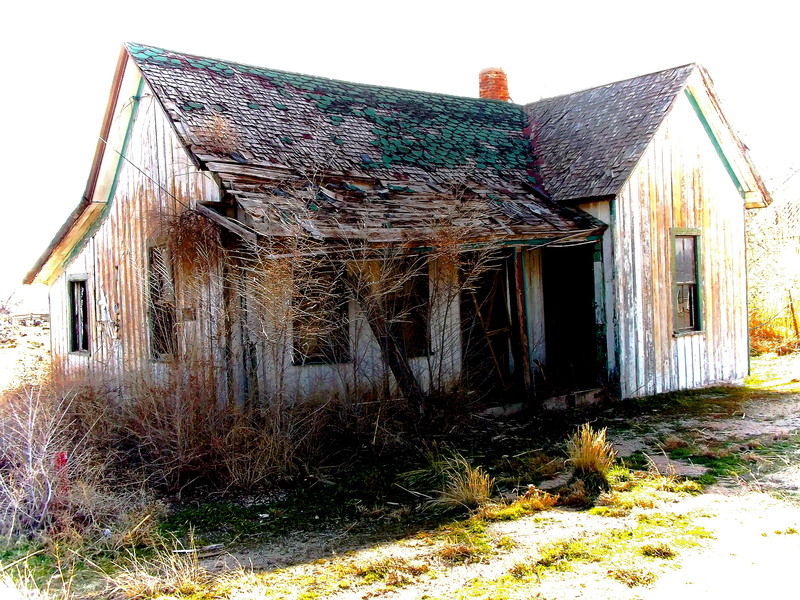 Around 1887 the town of Carrizo Springs was born, and one account says 2000-3000 people flocked to the settlement. 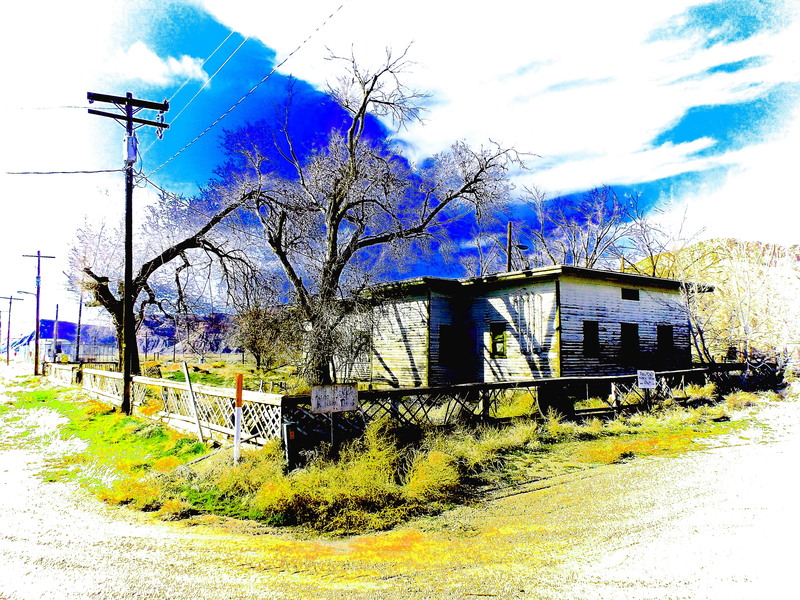 Carrizo Springs lived a short, violent life. Cattle rustlers and horse thieves wandered through town from Kansas and Texas, gamblers and prostitutes set up shop in the saloons, marauding bandidos all the way from Mexico terrorized the town on occasion. 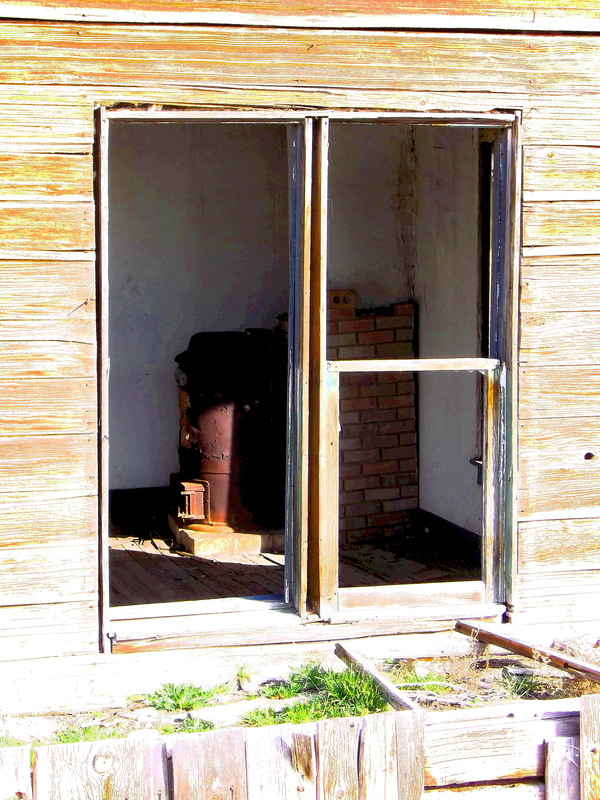 Soon though it was realized the copper and silver ore along Carrizo Creek was poor and the town vanished. 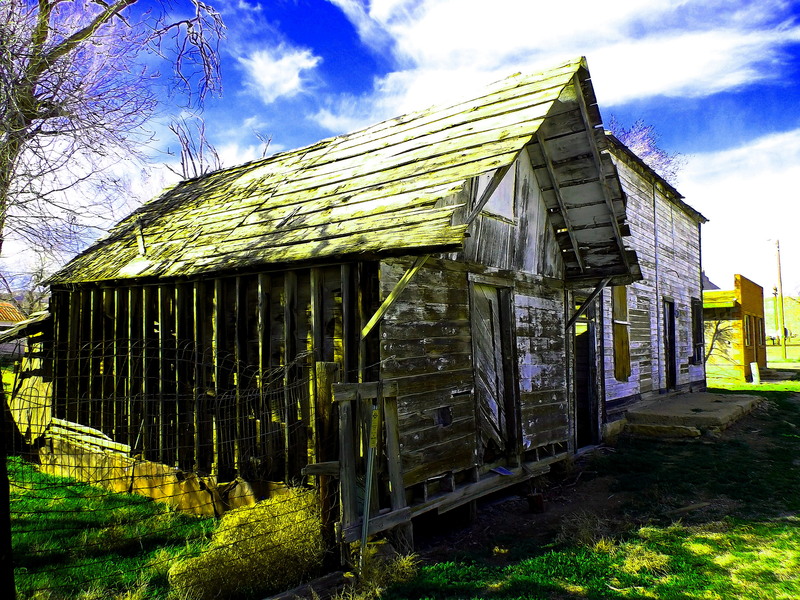 By 1889 Carrizo Springs was empty having lived only two years. Today it takes a very sharp eye to spot anything marking the site- A few crumbling stone foundations, a weathered hitching post here and there, and shards of broken glass and porcelain on the prairie are all that is left. 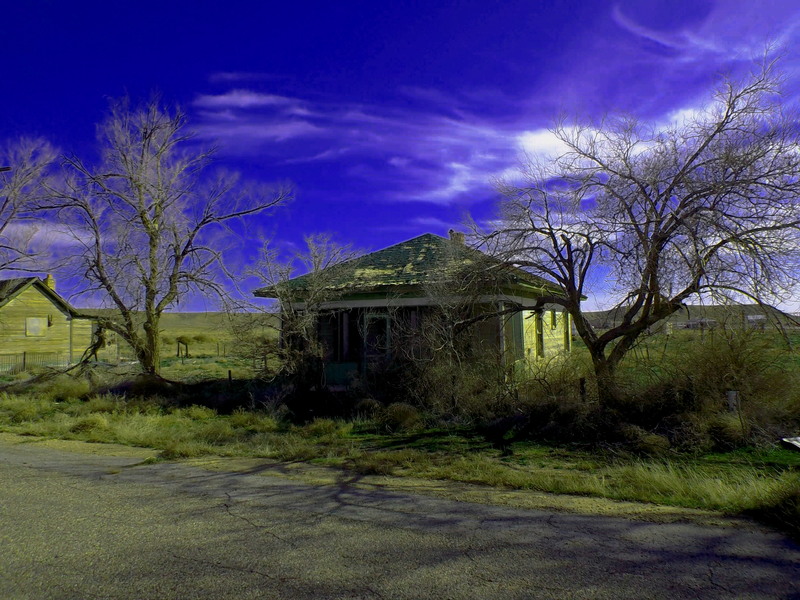 No period photos of Carrizo Springs exist. Having had enough of Colorado’s never ending winter of 2013 my friend Jered and I, one night in a drunken stupor, decided it was time to force the issue of the spring thaw and go camping in warmer climes. 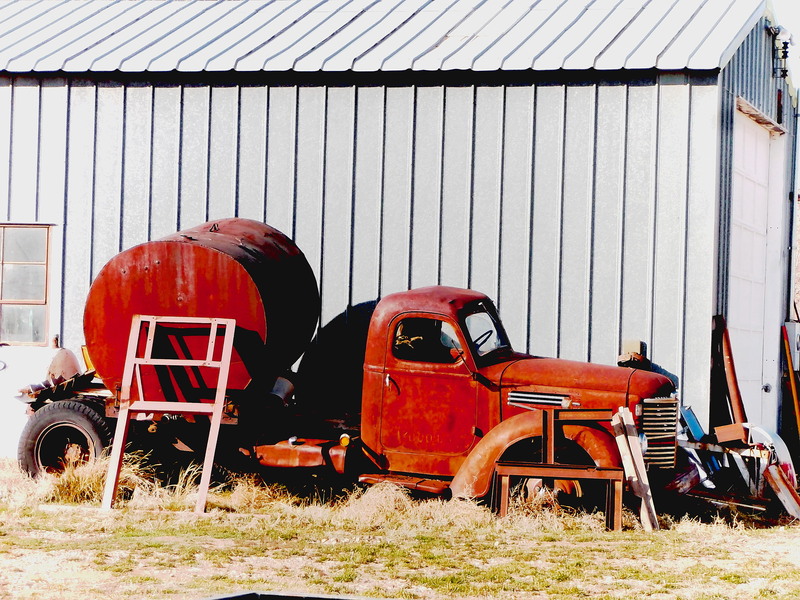 It seemed only reasonable that we pick the arid Book Cliffs region and the ghost town of Sego, Utah- a five hour drive across the snow capped peaks of the Rockies. Weather reports indicated that the mid-March temperatures in the area would be in the balmy 50’s which was about 40 degrees warmer than the eternal icebox Colorado had been suffering through for the last several months. In the days leading up to our desert journey my partner and I secured our provisions which consisted largely of cheap domestic canned beer, cigarettes and beef jerky. 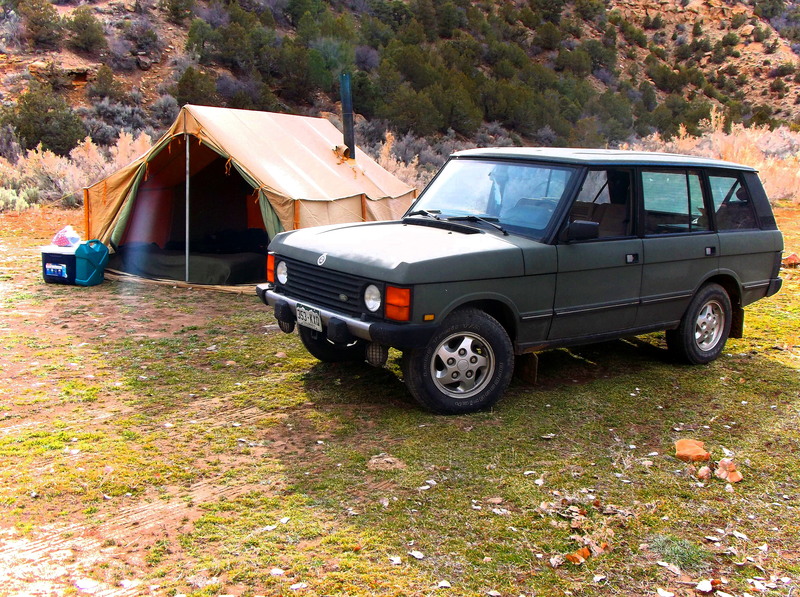 We departed our snowbound gulag and made good time crossing the continental divide and beginning our descent into the semi-desert corner of Utah where we’d camp, stopping one last time in Grand Junction, Colorado to requisition more beer…just in case. Crossing the border in Utah we left Interstate 70 for the less traveled remnants of old Highway 6, long neglected, beaten, broken, and pock marked. We bounced down the road until we came to the big, sweeping bend that marks your arrival to the “almost ghost town” of Thompson Springs, Utah. 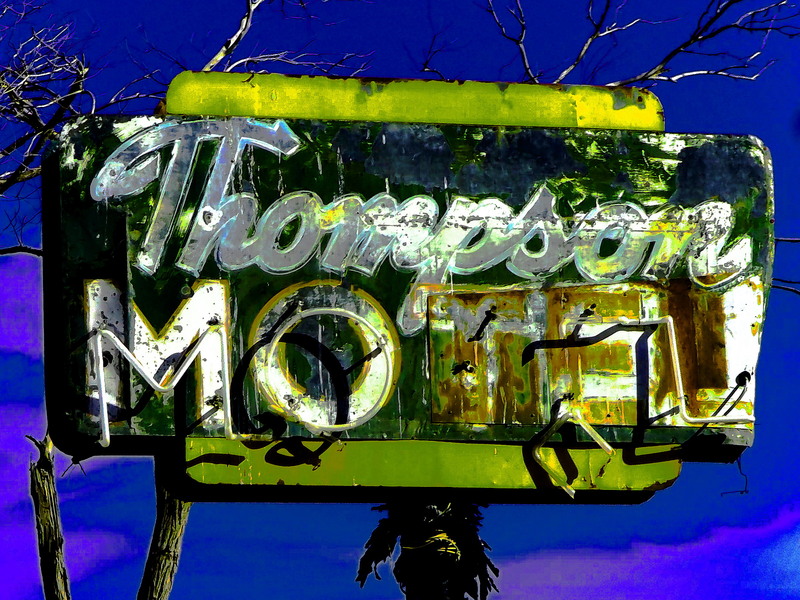 It was my third trip through Thompson Springs, and it looked no worse for the wear than it had in my previous visits. Isolated and remote, Thompson still hangs on, with around ten hearty souls remaining. Thompson Springs was a small railroad terminal on the Amtrak line for many years, as well a place to stop for a meal or catch some rest along old Highway 6. Thompson Springs began it’s decline when Interstate 70 bypassed the town a mile or two to the west, and Amtrak followed suit a short time later, closing the terminal which hastened the communities demise. My friend and I didn’t waste much time as we passed through Thompson, we were on our way to Sego, which lies a few miles north east of the town. As we left town, a sign on the fence of one of the few occupied homes in town read “In this Vale all knees shall be bent, and all beards shall remain untrimmed”- clearly in reference to the owners’ Mormon faith. 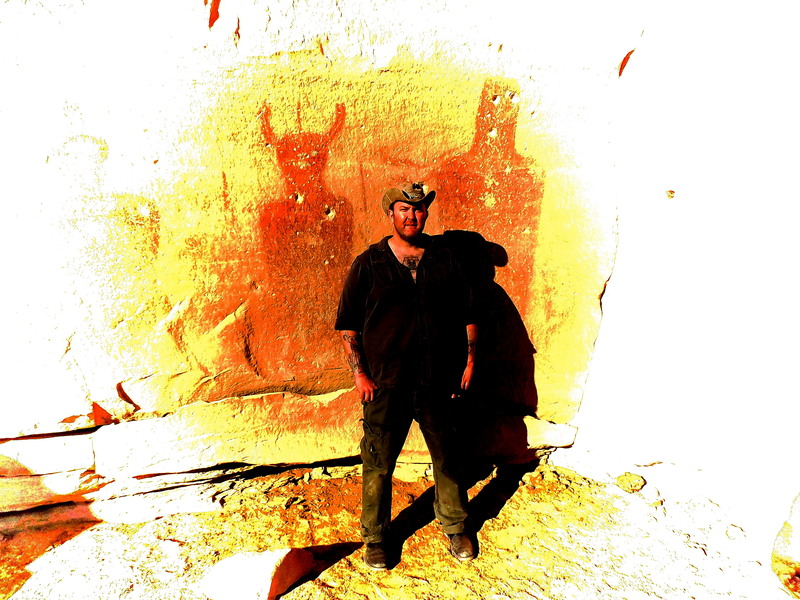 We wound up the narrow sandy canyon, stopping to admire a grouping of ancient rock paintings, said, by the local Native American tribes to represent the “Star People” who visited earth in the days before time, and brought us knowledge. 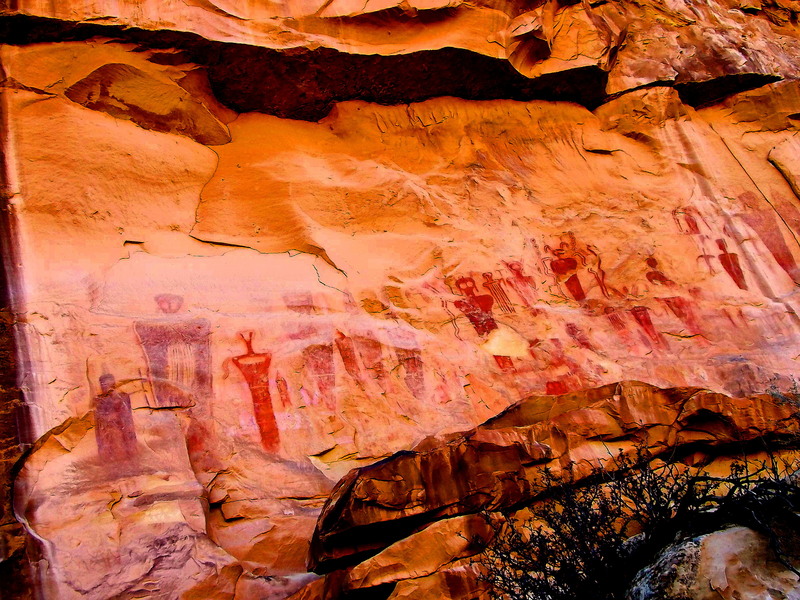 It is estimated that these magnificent paintings are anywhere from 4,500 to 10,000 years old! 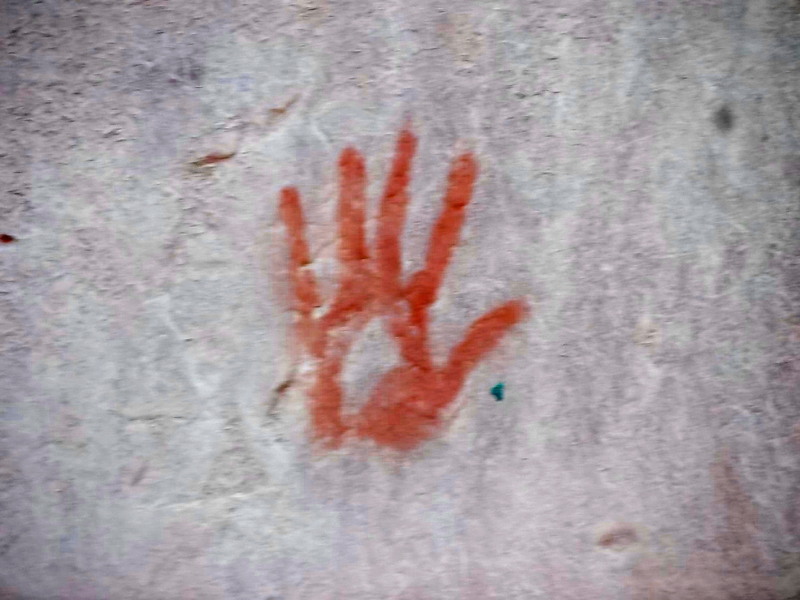 A hand print, many thousands of years old. Leaving the Star People we stopped to explore the ghost town of Sego, a small collection of ruins that mark the sight of coal mining town that once operated in the canyon from around 1890 to 1950. 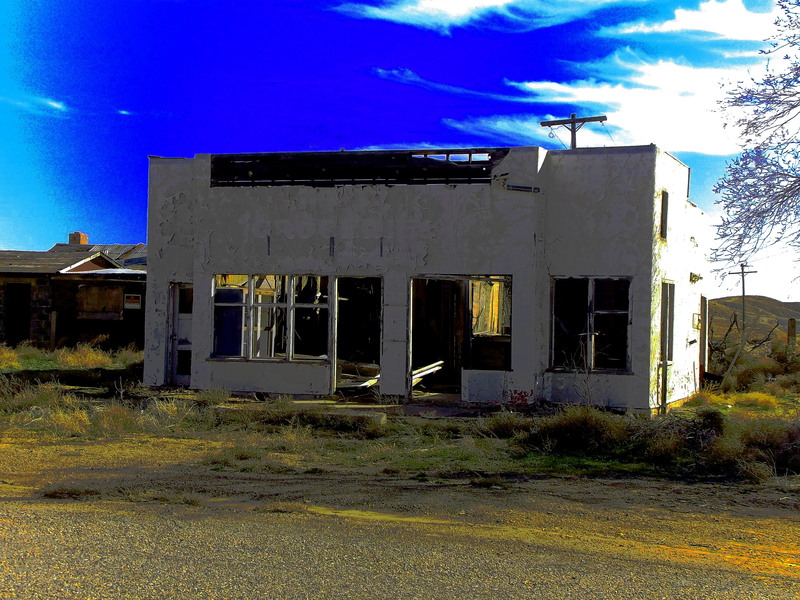 The company store still stands proud, and a forlorn Chevy coupe used for target practice for many, many years are the main attractions at Sego. Carefully tip-toeing through the thick sagebrush, prickly pear cactus, and other things that poke and sting, keeping a vigilant eye out for rattlesnakes, several other fallen down buildings, and a few more bits and pieces of old cars can be found at the site. We left the town site and continued up the narrowing canyon in search of a suitable campsite, beer thirty was rapidly approaching and we’d spent enough time in the Rover for one day. Finding no spot in Sego Canyon large enough for our tent, we took the branch leading up Thompson Canyon, and found a perfect spot at the site of “old” Thompson Springs. 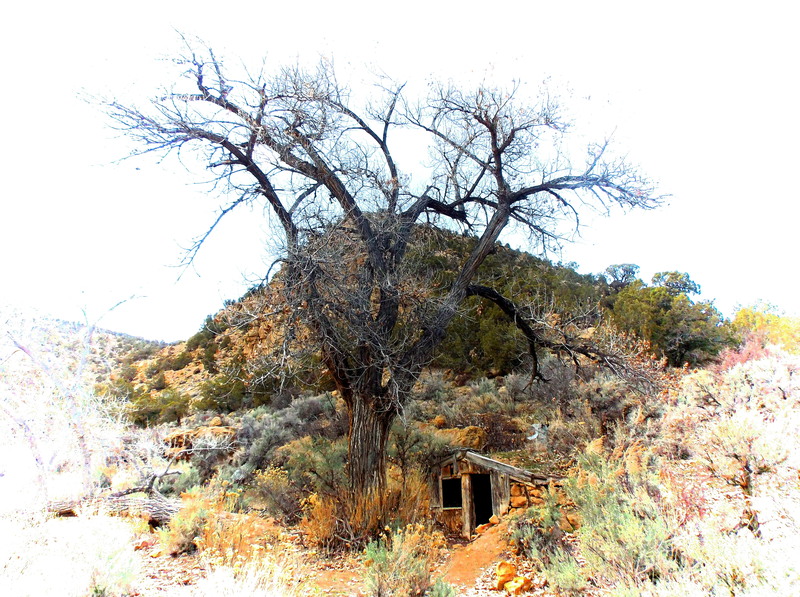 Beneath several gigantic and very old cottonwood trees was small flat clearing, surrounded by rugged canyon walls. 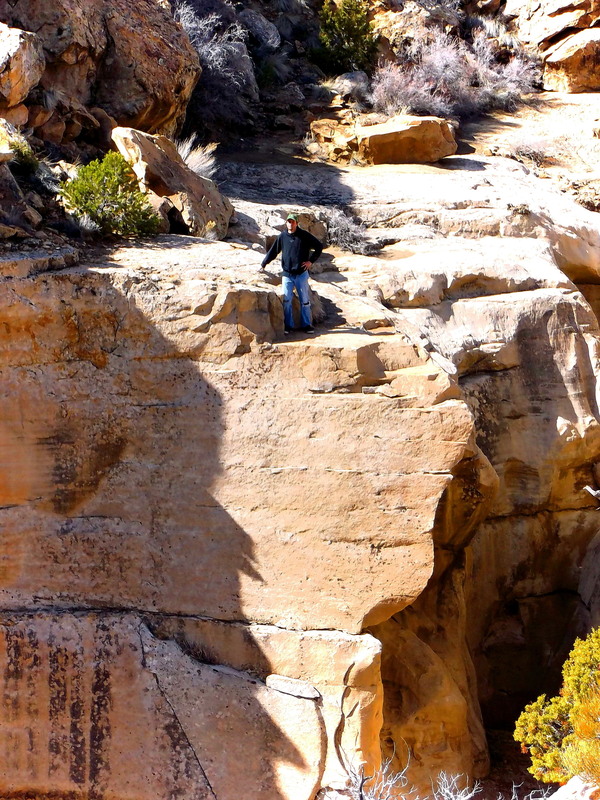 Two or three old stone dwellings marked the site, half carved into the walls of the canyon. The “spring” from “Thompson Springs” bubbled up through the ground and ran out of an old iron pipe into the tiny creek bed below our camp. Although we brought plenty of water with us, It was reassuring to have a fresh water source in the middle of the desert. We set up our tent, and then Jered was assigned the task of making fire- No person on earth create fire as quickly and effectivbely as Jered can. We’ve camped often, and if Jered can not make fire, we break camp and call it off because it is a bad omen. Having established a fire, we got drunk, and proceeded to tell each other lies about how great we were and all the grand and fantastic things we were still planning to do. Around noon the next day, hungover and confused, I tumbled out of the tent and made a very poor pot of coffee and made enough noise to wake my partner up. We decided to drive back in to Thompson Springs and see the sights. We parked the Rover and started to walk around downtown Thompson, which is one east-west street and one north-south street. 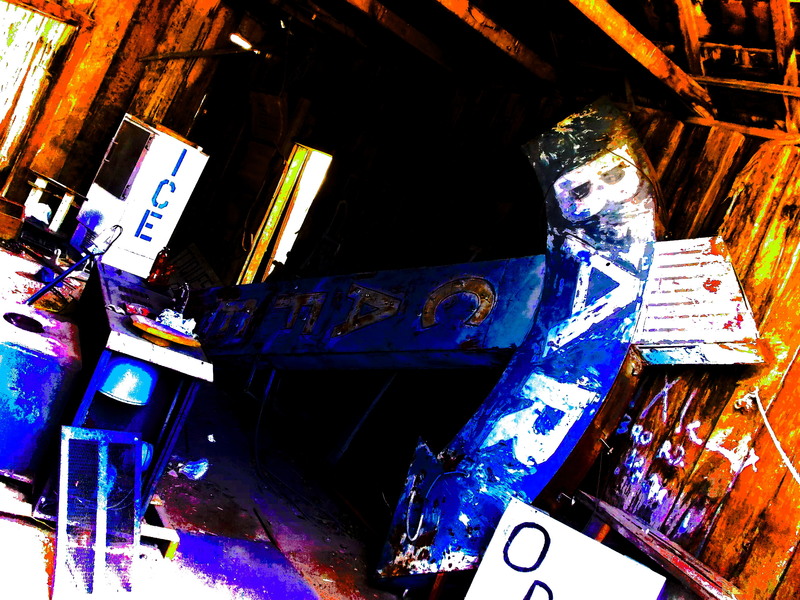 We peered in the open doors and broken windows of the abandoned businesses, and snooped around the old Amtrak station which still had a sign warning “Parking for Amtrak Customers Only”. A small group of men at the RV Park, one of Thompson’s only active businesses, were lazily putting up a storage shed, and one man on a riding mower watched us carefully for a minute or two before waving then going about his business. 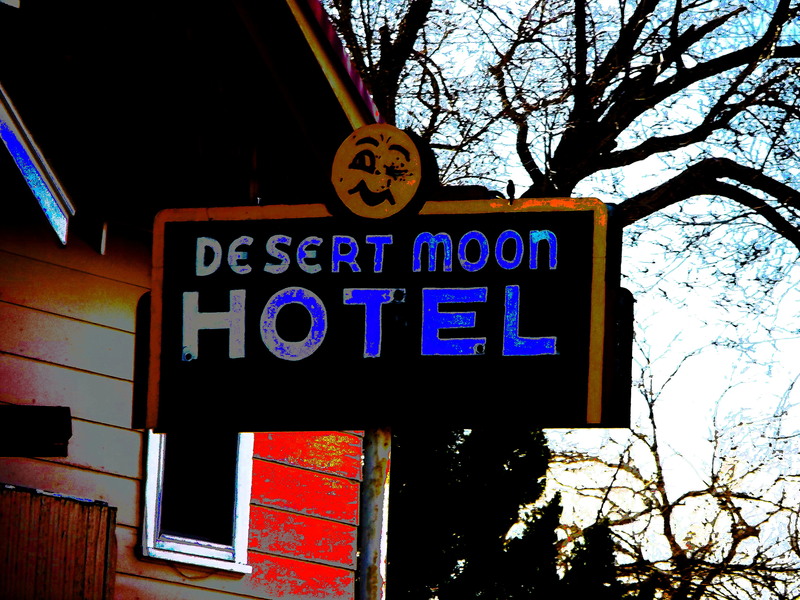 As we were leaning through the door “almost” trespassing into an old shed, snapping photos of a great old 1950’s era diner sign, a small truck appeared on the road to the east and a cloud of dust kicked up behind it as it made it’s way towards us. As it approached I noticed an older man with long white beard driving, and he slowed down and parked right in the middle of Main Street. I was sure we were about to get an earful and the customary twenty questions about who were where, where were we from, why were we there and when were we leaving. I also feared the long white beard meant this was the Mormon elder of the town and being from a state with few Mormons, and only tall tales about them, I felt a little bit scared. The great old sign I was photographing when the local came by in his truck. My worries were quickly put to rest when the local approached us with an open hand and greeted us with “Welcome to Thompson Springs, I’m just a lonely desert dweller.” We chatted for a few minutes with the friendly stranger who showed us the work he was doing on the old diner, and said he hoped to be up and running selling simple sandwiches and soup in the summer months to the few visitors who pass through Thompson. Then, as we were winding up the conversation he asked “You guys wouldn’t happen to have any weed would you?” Not expecting that, Jered and I snickered and looked at each other and informed the stranger that no we didn’t. Sadly, he explained to us that saw our Colorado license plates the day before as we came through town, and knowing that dope was legal in our state, he was hoping we had brought some along. He told us how the two biggest problems he faced as a weed smoker was- 1) Living in Utah and 2) Living in the desert “Where the air is so dry all I can grow is stems!” We informed him that we didn’t smoke marijuana, and we were sorry we couldn’t help him out. He was shocked we weren’t enthusiasts, and he made sure we at least drank beer, and telling him that, yes, we drank beer, he seemed to feel a little bit better and he bade us farewell saying he better get back to his old lady before she drank the last of his beer. As he opened the door of his truck a couple of empty beer cans cascaded out the door and he picked them up and threw them in the back. He waved goodbye with a fresh beer in his hand and headed back from whence he came, disappearing in a cloud of dust. Laughing about our strange desert encounter Jered and I hopped back in the Rover and headed for the gas station along the I-70 frontage road a mile or so west of Thompson Springs. I topped off the gas tank and headed inside to grab some peanuts and a coke. I opened the door and standing there in front of me was my second biggest fear when traveling through Utah- the Grand County Sheriff. Rumors abound regarding the harsh and sinister ways of Utah law enforcement officers and in ten previous trips through the Industry state, I had avoided contact them, now I stood face-to-face with John Law. He was a tall and solidly built man, with short cropped light hair, a dark green shirt with gleaming badge, and tan polyester pants with large chrome plated revolver hanging from his hip. My initial reaction was to stop, turn around, and leave, but this would have been suspicious, so I nervously wandered the aisles searching for peanuts in a cold sweat. The Sheriff, noticing me, nodded his head, and went back to talking with the cashier at the station as if I wasn’t there. My fears soon faded when I heard him discussing the previous night’s poker game down the road at Crescent Junction, and how he had to tell a couple of underage kids not worry, that he was off duty and there to play cards and get drunk too. He laughed and joked with cashier and proved himself to be the exact opposite of all the horrible and dreadful things I had heard about Utah Sheriffs. He even wished me a good day as I left, and paid me no further notice as we drove away. Back at camp Jered and I laughed about our new friend in Thompson Springs, and what an unexpected encounter that had been, as we enjoyed our dinner of buffalo steaks and wild sage. Later that night as we sat around the wood stove in the tent bullshitting, a rogue gust of wind blew back a spark out of the stove and our tent caught on fire. Our camp at Old Thompson and the tent that caught on fire.